This is the second article in my achieving overnight success series where I aim to dispel the myth of overnight success. To do this, I look into how founders who have achieved incredible milestones started their entrepreneurship journey. This article follows the first in the series where I looked into the path of Kevin Systrom of Instagram. Tom Preston-Werner is one of the co-founders of GitHub, a social coding platform which has grown into the largest code host in the world. GitHub has taken an unsual path amongst startups in that it was bootstrapped completely for many years, all the way to over a hundred employees. It made headlines recently by announcing it’s first ever funding, a whopping $100M round valuing GitHub at $750M. 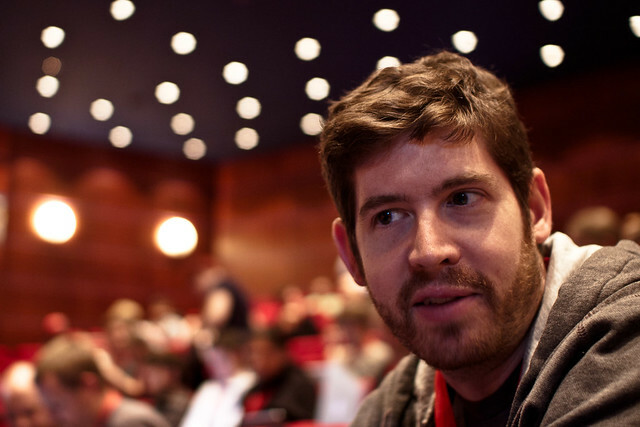 I’m sure most of you don’t see GitHub or Tom Preston-Werner’s achievements as an overnight success, however the media can sometimes easily give that picture. Let’s have a look at the actual journey Tom took to build a business worth almost $1B. I’m not sure that at this stage of his journey Tom would call his activities “startups”, but to use his own analogy I think the countless side projects he hacked away at were “new shoes” startups. In an interview with Andrew Warner, Tom talks about one of his earliest projects as coming up with a technique called “flash replacement” to allow using any font on a website. Some years ago, there was a certain set of fonts you could use on a website, and you were limited to these. We now have the luxury of things like Google Web Fonts and Typekit, but back then fonts were a real limitation. Tom’s solution was built on and improved by Sean Inman and became a popular technique known as sIFR. My conclusion from reading about Tom’s projects is that this one was amongst Tom’s first stepping stones to having a reputation and reach in the open source community which would let him have a springboard to launch other projects. Tom’s motivation for coming up with the flash replacement technique was to be involved with and part of the community. He talked of industry leaders as “gods” and clearly wanted to be in that game. After his taste of the community and open source with flash replacement, Tom went on to hack away at countless other side projects. In one interview alone, he is quizzed about three different popular open source projects which he ran. His most popular project of this type was Gravatar. It was initially his way to work on something fun alongside client projects. The idea was to help people avoid maintaining a separate avatar across dozens of services, by having a single place you update it, and tying it to an email address. Tom reached out cold to some of the biggest bloggers he knew, and after some time managed to grow traction for Gravatar. It grew at a rapid pace after this, but with no business model around the idea, it was a fine line between horrible mistake and runaway success. After many struggles, Gravatar was eventually acquired by Automattic, the company behind WordPress. Tom’s fairly humble beginnings of hacking away at many open source projects is something I think we can all take great inspiration from. I think many of us could also have success if we have the persistence to keep going and drive to do something other than working for others as Tom did. The most interesting thing I see with Tom’s story so far, compared to what happened next, is that the link between the two is very strong indeed. Tom’s life for the many years before GitHub was immersed in web design, web standards and open source. This is the area which GitHub catered to. The other illuminating thing is his explicit learning from Gravatar that having a business model is crucial. I think this alone is what triggered Tom and his co-founders to build something with revenue from the start and bootstrap GitHub all the way to a company able to employ 100 people with no outside funding. It’s clear to me that GitHub is the “new life” startup for Tom Preston-Werner, and I am truly inspired by the path he has taken to reach this stage. Are you working away at projects that may eventually be dots along a line that leads to something truly great? Are you getting involved with a community and getting to know people whilst producing things of value? I’d love to hear your thoughts on how you’re working towards achieving overnight success. Frequently startups pop up and take over the press, framed as an “overnight success” taking just a year or two to reach some incredible milestone. For some time I’ve had a slight intuition that perhaps by looking at the founders behind these “overnight successes”, it will become clear that the achievement is no coincidence. Therefore, I’ve started this achieving overnight success series to look deeper into how these founders started. 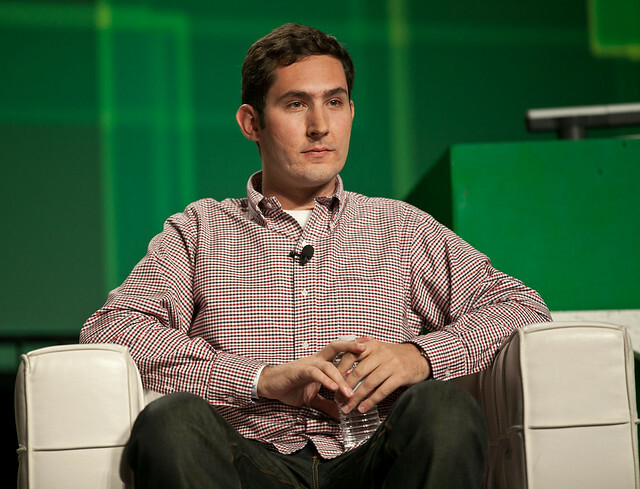 Kevin Systrom is the Co-founder and CEO of Instagram, a photo sharing app for iPhone and Android that lets you apply a filter to a photo and share it on the service or on other social networks. Instagram is one of the biggest recent successes: it was acquired by Facebook for $1B less than 2 years after launch, and it has just hit 50M users, one of the fastest growing services of all time. How did Kevin begin his journey towards startup and this success? Let’s take a look. The service was used by 8000 people at Stanford. This was one of the first tastes of a startup for Kevin. "Stanford is one of the best places to meet engineers who are extremely smart but are also very well rounded"
Kevin remembered finding the class very difficult, and didn’t get a great grade. However, he remembers many of his classmates and in fact one of them works at Instagram. During his time at Stanford, and through his activities and Odeo internship, he met Sean Parker, Mark Zuckerberg, Adam D’Angelo and others. As many will know, Odeo later became Twitter. Kevin was at Odeo before it became Twitter, but Jack Dorsey was an early investor in Instagram many years later. To secure the internship, Kevin found Ev Williams’ email by doing a whois lookup on the Odeo domain name. He didn’t hear back the first time he emailed, but after two more emails Ev agreed to meet Kevin. "The best work is that grunt work because what I do day to day at Instagram is that stuff"
In 2005, during the Odeo internship, Kevin met Sean Parker and Mark Zuckerberg and had the opportunity to work for Facebook. After Stanford, Kevin took a job at Google as Associate Product Marketing Manager. Kevin had marketing experience from doing internships at a number of marketing agencies. Kevin worked on Gmail and Google Calendar, Docs and Spreadsheets while at Google. At Google, Kevin learned “how to talk about products”. 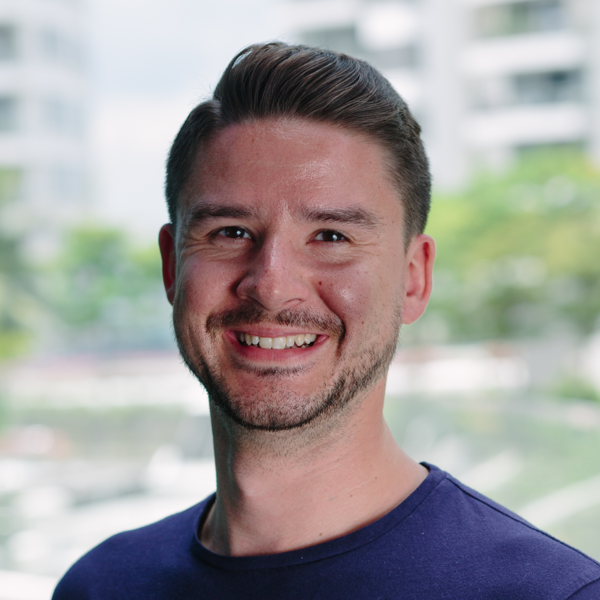 Kevin transitioned into the Corporate Development team handling acquisitions of startups, which sparked him to want to be part of a startup himself. While working in the Corporate Development team at Google: "I saw so many entrepreneurs having tons of fun starting companies, that I jumped to a company started by some Googlers"
Kevin joined Nextstop, a startup started by colleagues at Google. Started in marketing, but switched to engineering. "Only at my next job at Nextstop would I say I went from being a hobbyist to being able to write code that would go into production." After Kevin left Nextstop, it was eventually acquired by Facebook. After 1 year at Nextstop, Kevin decided to begin his own startup called Burbn. Kevin worked on Burbn by himself. Burbn was a mobile check-in app built purely in HTML5. When you checked in on Burbn, you could post a video or a picture. Kevin met Steve Anderson from Baseline ventures, and during the meeting Kevin got texts notifying him that people were joining Burbn. Steve knew some of the people signing up, and was intrigued enough to decide there must be something here. In this meeting Kevin secured his first $50,000 of investment for Burbn. A colleague at Google introduced Kevin to Marc Andreessen who wrote him a check for $250,000 of the $500,000. Kevin got enough other people interested in Burbn to secure a total of $500,000 seed funding. Mike Krieger was a very early user of Burbn, and he was also a Mayfield Fellow. He became Kevin’s co-founder and a key part of Instagram. Kevin sat down with Mike and they decided that they were not differentiated enough in the check-in space, and realised that photos were something that people were enjoying in Burbn, so they decided to focus completely on photos. Instagram was born. Instagram was built around 3 real problems: people couldn’t take beautiful photos with their phone, it was hard to post to multiple networks, and uploading in other apps was very slow. When Instagram took off and they had scaling problems, Adam D’Angelo became their lifeline and walked them through steps to get back up. Adam D’Angelo was also an early investor in Instagram. I may be wrong, as I often am, but looking at all the different things Kevin has done prior to and including Instagram, it seems clear to me that with each thing he built on top of the previous. Without playing around with Doom II and finding enjoyment in editing levels, he very likely wouldn’t have found a passion in working on side projects. Without that passion, he may not have built the craigslist competitor at Stanford, and it’s likely that played a large part in him securing the internship at Odeo. With the Odeo internship and his many side projects, he was probably in a strong position to be scouted by Facebook and this enabled him to meet Mark Zuckerberg and have access to Adam D’Angelo (Facebook’s first CTO) when he had scaling problems with Instagram. It seems all these previous things contributed to him getting a job at Google, and during his time there he transitioned to the team who handled acquisitions of startups. This gave him a taste and helped him take the plunge to join Nextstop. During his time at Nextstop, he went from being a marketer to a full-time engineer who pushed code to production. Through all of his previous experiences, Kevin was clearly both a fantastic marketer and very able engineer by the time he started Burbn and Instagram. He also knew a great many people who could help him with all aspects of a startup. Are you doing little things each day, which over time are building on top of each other? I’m very far from achieving anything of the level Kevin Systrom has, but looking back on my journey so far I can clearly see that my side projects before and during university, and my previous failed startup had a massive impact on the success of Buffer so far.